Suits Alien and Inline Shock Posts Dating from 1997 Vybe, XCR, RX and SX. 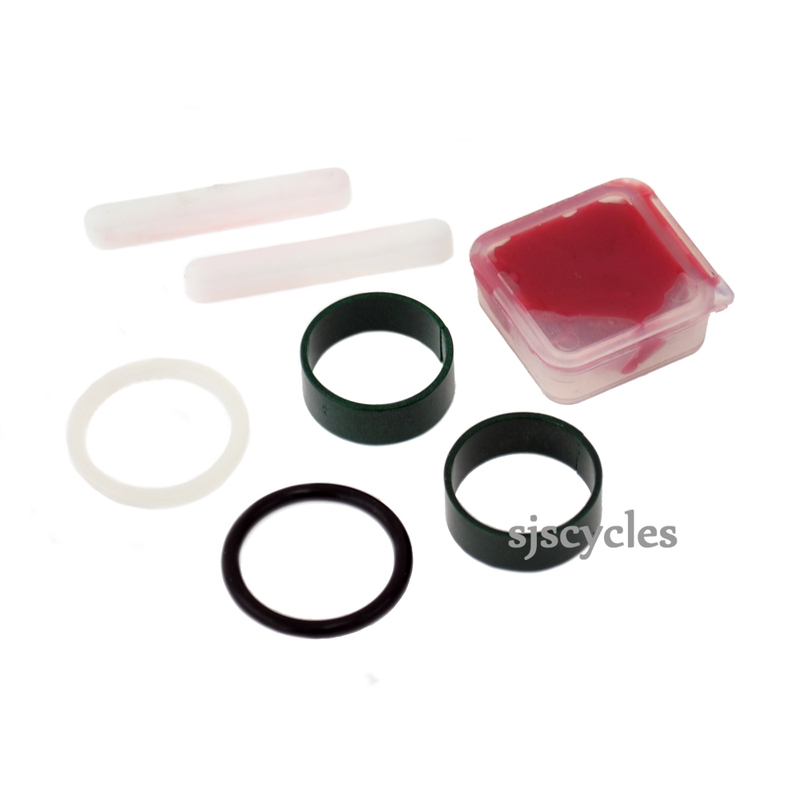 Contains grease, bushings (usually green in colour), O-rings, keys/spacers and instructions. Suits Alien and Inline shockposts from 1997 up to today. HI - I love my USE shokpost - no back problems any more - BUT I am getting through a pair of these nylon sticks a year. Any ideas on a more permanent solution or a cheaper way to get a few bits of nylon this size? This is the only way to purchase the nylon sticks we are aware of. Is this kit for 27.2 diameter USE Vybe shokpost? yes, sorry for the delay, we will update our description.